After $US2.3 billion in funding from the likes of Google, JPMorgan, and Alibaba, and years of outlandish hype, the Florida-based startup Magic Leap is finally peeling back the curtain on its mysterious, futuristic mixed-reality device: Magic Leap One. The headset/computer/controller trio is the first step in Magic Leap’s plan to replace your smartphone, your TV, and your computer. The idea is simple: Instead of having a bunch of disparate computing devices across various screens, you’ll wear your computer on your eyes. Forget about looking down at your phone to check email – the promise of mixed-reality headsets like Magic Leap One and Microsoft’s HoloLens is overlaying your digital life onto your real life. You could pull up your email in a floating window, while another floating window plays an NBA game, all while still interacting with human beings in the real world. The first device from Magic Leap is on sale now – it costs $US2,300 and starts shipping this week to customers in six US cities. Magic LeapShaq wearing Magic Leap One Creator Edition. Robertson had positive things to say about Magic Leap One, but those came with a lot of caveats. In her experience with the headset, she was shown a digital dinosaur that was visible only to her. 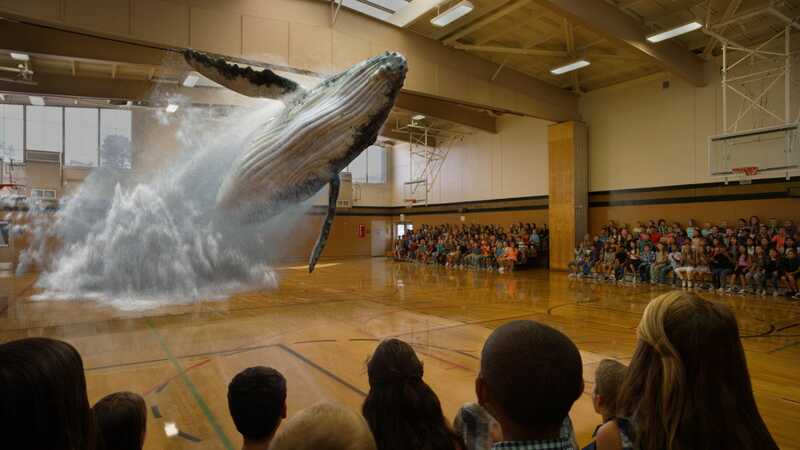 “The whimsical anecdote setup is supposed to emphasise how well the Magic Leap One tricked my mind into believing this impossible thing existed, which is what I’d hoped would happen last month when Magic Leap invited me to its headquarters,” Robertson said. “But it just didn’t happen. 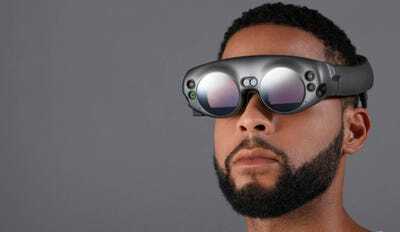 Magic LeapMagic Leap One is a headset, middle, a controller, right, and a computer device. Like other members of the media who got to try Magic Leap One, Stein took issue with the headset’s field of view. 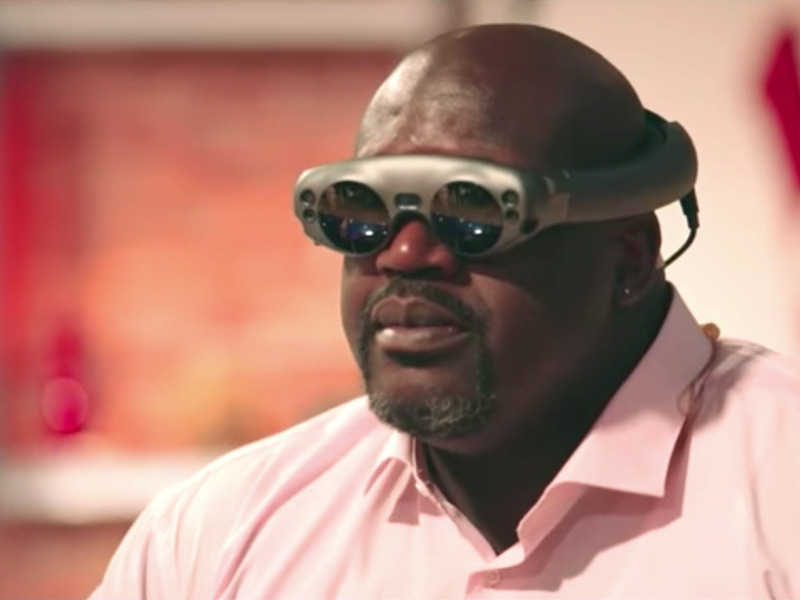 Simply put: If you’re not looking directly through the relatively limited digital window in the Magic Leap One headset, you don’t actually see the digital world being presented on top of the real one. Magic LeapAn early piece of Magic Leap marketing material.